This is a great dish when you’re feeding a crowd. It should be prepared the night before, but I’ve done it just a few hours ahead and it’s still delicious. 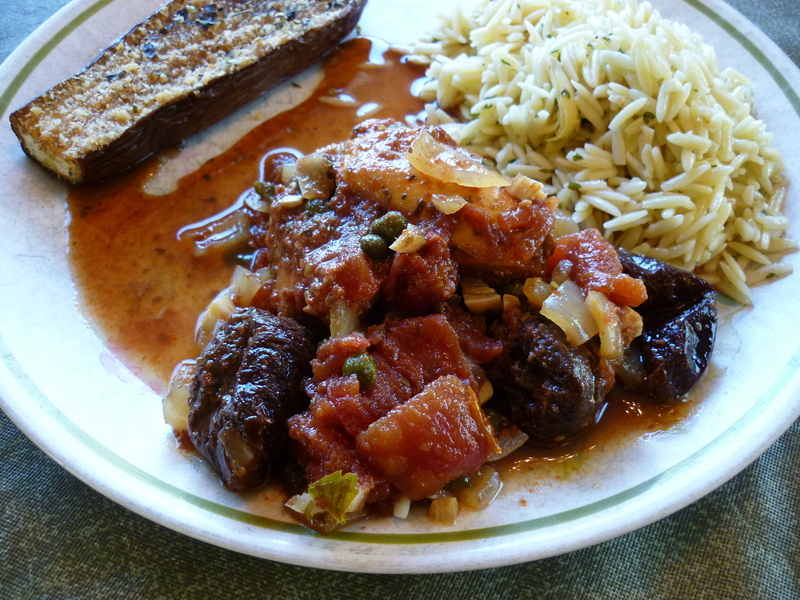 I also have a similar recipe which uses green olives and no tomatoes. Some day I’ll make and post that one. Mix all ingredients together in a 13 x 9″ baking dish. Marinate overnight. Cover and bake at 350 degrees for 1-1/2 hours. Serves 6-8. 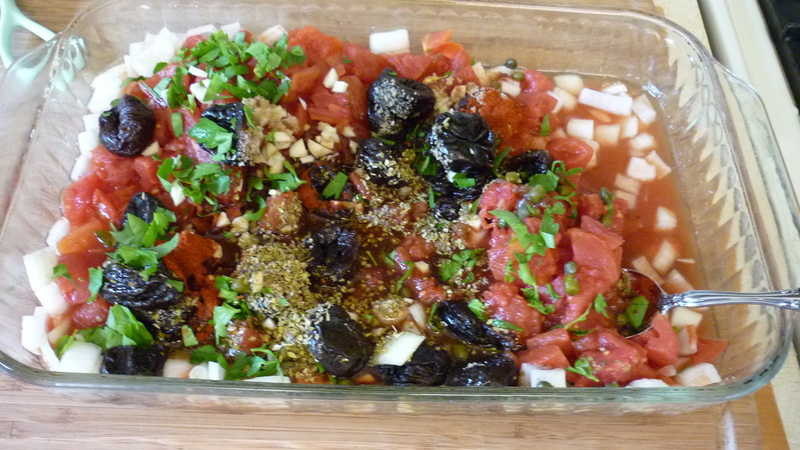 Mix everything together in a 9 x 13″ baking dish. I usually add the chicken last. And this day I didn’t have red onion, only yellow. Still tastes good. 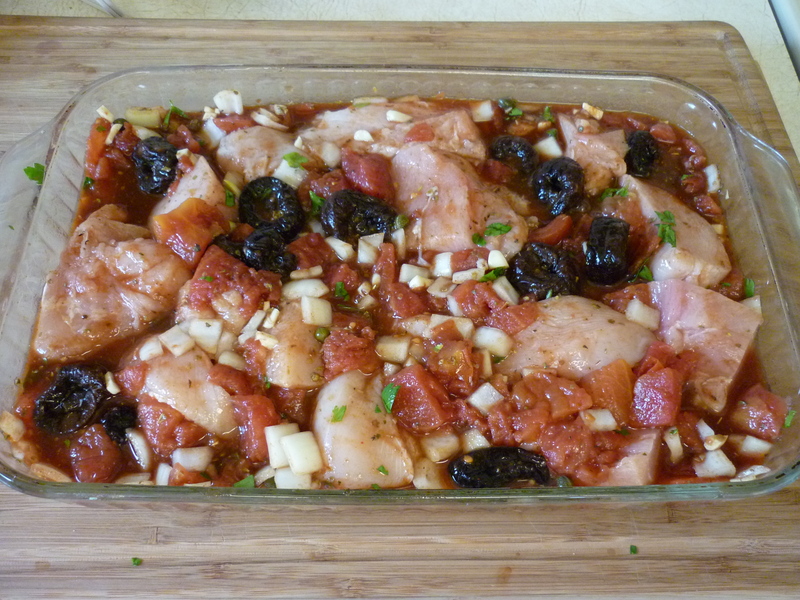 Add the chicken pieces. Marinate overnight. Bake, covered, at 350 degrees for an hour and a half. 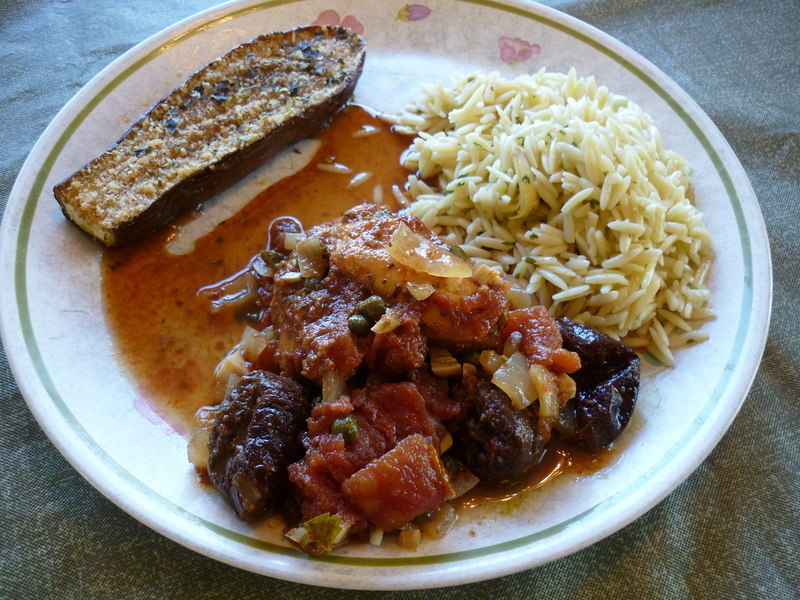 Mediterranean Chicken Mancini served with Lemon Artichoke Orzo and Eggplant au Gratin.